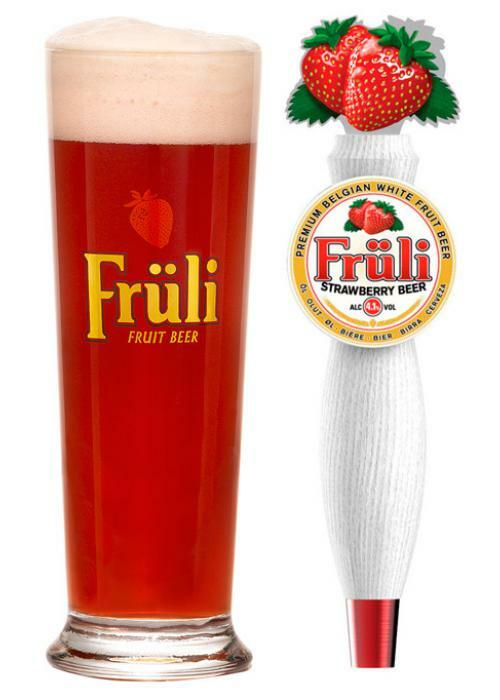 Fruli is a high quality Strawberry Belgian fruit beer, produced at a craft brewery in Melle near Ghent in Belgium. It’s a 300 year old brewery called Huyghe which has been in the De Laet family for 100 years. The Barley malt and wheat are mixed with water at a temperature of 45 degrees Celsius, according to the ‘infusion mash method’. After filtration on a mash filter, the wort is boiled with fresh hops, crushed coriander and crushed dried orange peels. Fresh yeast is then added and the first top fermentation takes place. The beer is transferred into tanks where the strawberry juice is added for a second fermentation of 10 days. The temperature is then reduced for maturation for a further 10 days. The beer is then filtered, bottled and kegged. Real strawberry juice and wheat beer. Juice not essence is used which provides the crucial taste difference and texture and makes Fruli a smooth drinking beer with mass channel appeal. 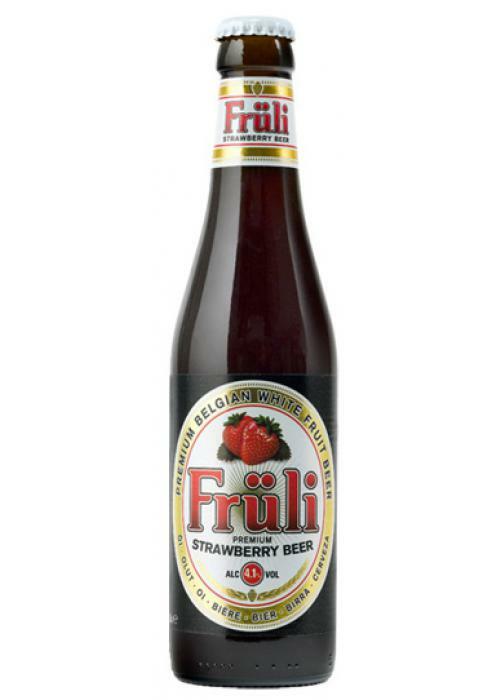 Fruli’s Alcohol By Volume at 4.1% is not too challenging & just enough to offset the natural sweetness of the juice. Coriander & Orange peel are added as in all white beers to enhance the bitter/sweet taste. 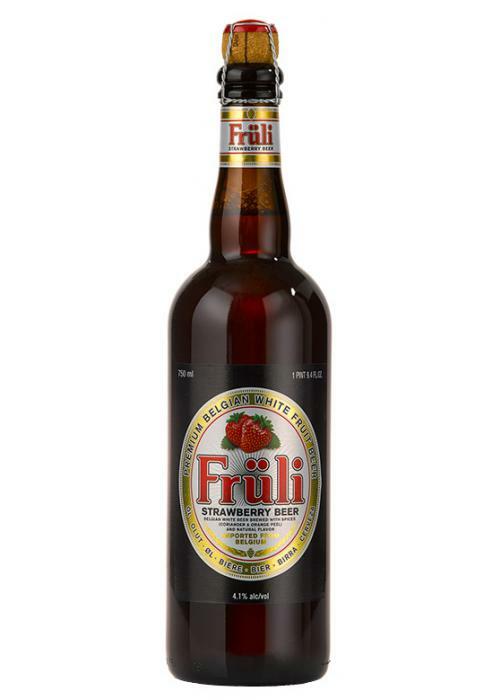 Fruli is smooth, well rounded and bursting with natural flavour. It’s sweeter than ordinary beers with a hint of bitterness and a little citrus zest that balances out the palate and has been likened to a smoothie with bite with a touch of yoghurt or ice cream.